​Modern wars recruit more than just human soldiers. Our canine companions also serve in the line of duty and under fire, whether helping police protect our home turf or accompanying soldiers on missions abroad. 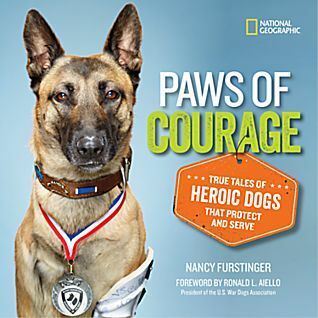 Readers will cheer for the hero dogs featured in this collection, profiled with stunning photos and inspiring tales of bravery, friendship, heroism, and devotion. Their touching stories are sure to inspire animal lovers everywhere. National Radio Media Tour for Take Your Dog to Work Day June 2016! This compact, photo-filled book celebrates service dogs of all kinds as Furstinger profiles more than 20 real-life combat, rescue, police, and tracker dogs, among others. Furstinger explains how various breeds’ physical, behavioral, and biological characteristics enable them to excel. Descriptions of the powerful bonds between service dogs and their handlers, as well as happy service dog retirements, contribute to a lively and touching narrative. The bonds between more than 20 military and law enforcement dogs and their handlers are lovingly and proudly shown in this compact, fact- and photo-filled offering. The narratives are heartfelt, and there are enough photographs of the pooches in action to please any dog lover. [This book]... addresses a wide range of interests and age levels and will make readers want to go home and hug the doggie heroes in own their lives. 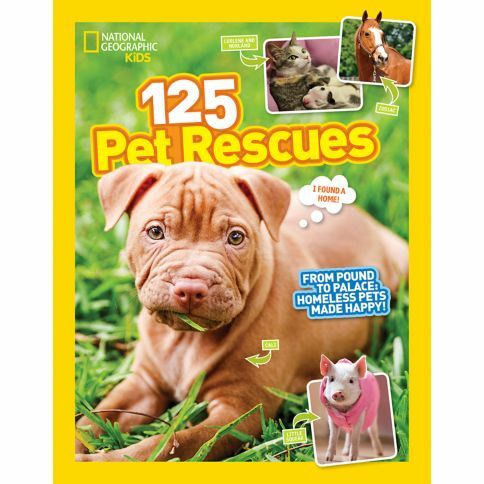 This amazing book offers prose that is fast-paced and super-factual, but is written in a conversational style that keeps readers engaged to the fullest....This is a National Geographic book, so the pictures live up to their brand.